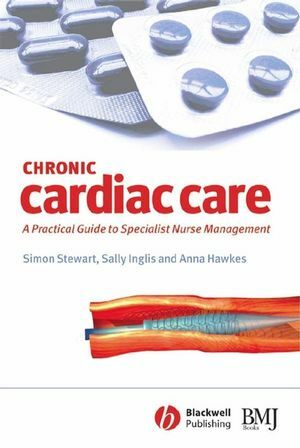 This is a practical book for nurses on the management of patients with chronic cardiac disease. With the number of patients who have survived a heart attack but need continuous monitoring increasing, the role of nurse specialists is becoming ever more important. This book provides the necessary information for them to fulfil the role. It complements the lead author's earlier book, Improving Outcomes in Chronic Heart Failure, by providing the details of clinical management for working directly with patients (e.g. therapeutic targets in hypertension) and for working with patients to ensure compliance with medication. 1 Pathophysiology and epidemiologic burden of chronic cardiac disease. 2Key therapeutic targets in chronic cardiac care. Section 2: Effective Models of Chronic Cardiac Care. 3 Slowing the progression of cardiovascular disease: innovative approaches to cardiac rehabilitation and secondary prevention. 4 Chronic CHF management programs: an exemplar for chronic cardiac care. Section 3: Managing Care: From the Organization to the Individual. 5 Organizational aspects of chronic cardiac care. 6 Individual aspects of chronic cardiac care. Section 4: Optimizing Chronic Cardiac Care. 7 Establishing a nurse-led program of chronic cardiac care. "This excellent book will be an important resource for specialist nurses involved in secondary prevention"
"...the authors offer a range of theoretical approaches which can be adopted for practice together with useful examples"